I like action movies. Well made action movies it is – those which have a plot and intrigue, and especially those which might keep you on the edge of your seat. Oh yes, and they better be American made movies. Nope, this is not a patriotic statement – Japanese action movies are beautiful (I love Martial Arts), but in 99 out of a 100, the main character dies at the end. In our, American made action movies, the good always wins – yep, the proverbial “happy end” is literally warranted. And then there are those American movies where the plot is based on pure absurd, and the only supposedly entertaining element is unstoppable, relentless use of the F-word by everyone, including kids and animals – I guess the endless F-word variations are supposed to create serious drama around, well, pretty much nothing. 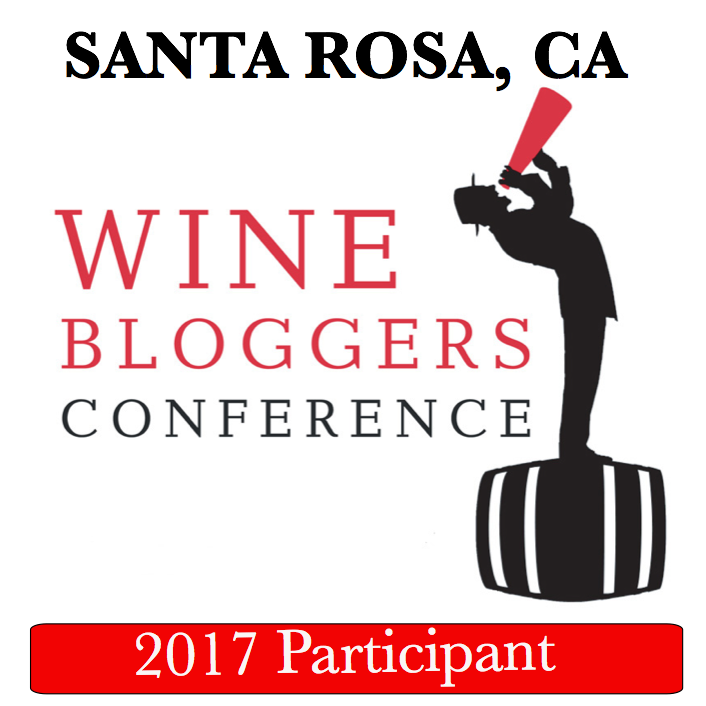 Okay, okay, you are still reading (if you are actually reading – and I want to thank you for that) the Talk-a-Vino blog so we will be actually talking wine – I’m not turning into a movie critic all of a sudden. Sometimes I know that the wine sample had been shipped to me only through a UPS or FedEx notification, without any prior conversations with “the source”. So when the box arrived a few weeks ago from Donna White, I got really curious about what is inside, as the box looked quite big – however, its weight really didn’t support the size, so yes, color me very curious. Inside the box, I found the Halloween costume, the bottle of wine, and the note. From the note, I found out that I’m a Lebowski (and everyone I know is also a Lebowski). Which instantly triggered “The Big Dude Lebowski” to come to my mind – without much of the basis, as I knew the phrase but had no idea it came from the movie. Now you have the movie connection. I found some movie clips on YouTube, and whatever I watched, didn’t give me an encouragement to sit down and spend time watching the whole movie (hence my opening thoughts in this post). The strong association of the word Dude and “The Big Lebowski”, which is an actual title of the movie, even prompted me to do a bit of the research on the meaning of “Dude” – I was happy to see that the word itself has a much longer history and somewhat easy to relate to (from Wikipedia): “Dude is American English slang for an individual, typically male. From the 1870s to the 1960s, dude primarily meant a person who dressed in an extremely fashionable manner (a dandy) or a conspicuous citified person who was visiting a rural location, a “city slicker”. In the 1960s, dude evolved to mean any male person, a meaning that slipped into mainstream American slang in the 1970s. Current slang retains at least some use of all three of these common meanings.” So “The Dude” can exist on its own, without the “The Big Lebowski” parallels. Okay, so I explained the movie opening of this post, but we still didn’t get to wine – and it is the time to do it. The Dude actually plays an important world in the wine world – as the name of the Australian Shiraz. Two Hands winery from Barossa Valley in Australia produces the wine called Gnarly Dudes, which has the picture of the old Shiraz vines on the label – which looks like, well, gnarly dudes – hence the name and this whole connection between the Dudes and the wine. I mentioned the Halloween costume in the box, didn’t I? Can you guess what the costume was? Yep, of course, it was the outfit of The Dude himself, exactly as they show it in the movie. My first reaction was: no. Just no. I will not wear this. A few days later, after the initial desire to reject slowly dissipated, the next thought was “well, this is Halloween after all. Why not? The end result was simple. I wore The Dude’s costume and I opened the bottle of The Dude wine, just as it was envisioned by whoever put this package together. Below, you can see a proof – lame, but my best version of The Dude. By the way, when I was giving out candies in this outfit, nobody complained – and one person even managed to correctly identify the character I was impersonating. For the longest time, our family tradition is to carve pumpkins for the Halloween. None of us has any carving skills, but once we finally acquired a good pumpkin carving set from the Williams-Sonoma, we managed to achieve the level of the personal content with the results of our carving efforts. Dark, earthy fruit, blackberries, a touch of pepper, noticeable sapidity, overall earthy notes, good balance. This is a food friendly wine. So in terms of drinkability, it was a 7/7+ wine at the best on the first day. The second day (without pumping the air out, just putting the screwtop back on) brought far more enjoyable wine – blackberries appeared on the nose, and on the palate, the wine clearly added multiple dimensions – velvety texture, round dark fruit, both blackberries and blueberries, sage and violets joined the chorus – absolutely next level wine compare to the first day, definitely an 8 wine (my own 1-10 Drinkability scale, yes). I want to mention that the wine remained equally beautiful even on the 3rd day, and showed a touch “over the hill” signs on day 4. An excellent wine, but you have it either give it some time or look for the one which has some age on it. And yes, forget a few bottles in the cellar for the next 10 years – somehow, I expect you to be handsomely rewarded. Here is my Dude story for you. How was your Halloween? Cheers! Whenever I travel, whether for work or leisure, I always love to try local wines – adding an occasional winery visit is a cherry on top, for sure. Drinking local had been a habit for a long time (here are some posts if you are interested in my past discoveries), and I have to say that more often than not, the curiosity is rewarded handsomely, with tasty, unique and different wine discoveries. 2016 Messina Hof Pinot Noir Private Reserve Texas (13.5% ABV) cherries on the nose, good cherries and and plums on the palate, well integrated, well balanced, medium plus weight, round, smooth. Not necessarily a traditional Pinot Noir rendition, but well enjoyable. 7+. Very unique and different on the palate compare to most of the Sauvignon Blanc wines. Green apple, tart lemon acidity, clean, fresh. 8-, more reminiscent of Chardonnay than Sauvignon Blanc – well drinkable and delicious overall. same on the palate – dark fruit, cassis, fresh cherries, medium+ body, soft tannins, good acidity and overall good balance. I wish I had an extra few hours to visit the winery, which I understand is located about an hour away from Atlanta, but this will have to wait until the next visit. In any case, I get to update my “wines of 50 United States” page with one more check-mark :). That’s all I have for you, my friends. Any local discoveries you want to share? Cheers! I pride myself with very wide wine horizon. I scout wines from literally everywhere in the world – China, Japan, Croatia, Bulgaria or Hawaii – bring it on, the more obscure, the better, I will be happy to try them all. Nevertheless, a majority of my daily drinking evolves around Italy, Spain, and California, with a little injection of France. The rest of the wine regions make a very sporadic appearance at our house – without any prejudice or malicious intent – just stating the fact. Nevermind China and Japan, which are still going through an adolescence as wine producing countries – let’s talk about Australia instead. About 20 years ago Australia was leading wine imports in the USA. 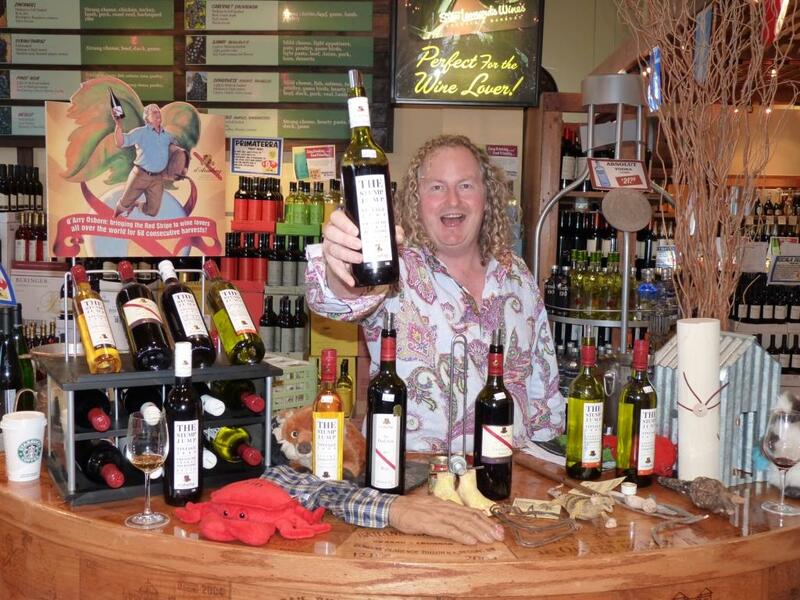 As you would enter a wine store, you were greeted with countless Australian wine selections. Today, Australian wines are relegated to the back shelves, and they are definitely not on top of the wine consumer’s mind (in the USA for sure). Ups and downs are hard to analyze in the wine world (think of the devastating effect of the movie Sideways on Merlot consumption), and such an analysis is definitely not the point of this post, no matter how interesting such a discussion could’ve been. As I stated before, Australian wines are rare guests at our table, and this is not deliberate – I enjoyed lots and lots of excellent Australian wines, and have an utmost respect to what this country can deliver. I’m always ready to seize an opportunity to try an Australian wine, especially if it comes with a recommendation. Such recommendation can present itself in lots of different ways – a friend, a magazine, an Instagram post, a tweet – or an offer from the Last Bottle Wines, especially during the Last Bottle’s infamous Marathon events. During the Last Bottle Marathon, you can buy the wines in single bottle quantities, which I like the most as you can create your own tasting collection quickly and easily. If the wine is offered for sale by the Last Bottle, it definitely serves as an endorsement for me. The folks at Last Bottle know the wines – if they offer something, it means the wine really worth trying. During the last Marathon, the 2015 Gemtree Uncut Shiraz McLaren Vale (14.5% ABV) attracted my attention. I don’t know what made me click the “buy” button – the name “Gemtree” (sounds interesting, isn’t it? ), or the word ‘Uncut” (again, this somehow sounds cool to me as well), but I did click that button quickly. You see, you only have a split second to get the wine – you blink, you lose – and I scored the bottle of this Australian Shiraz. I pulled the bottle from the wine fridge, twisted the top and poured into the glass. Dark ruby color, a whiff of the blackberries. The palate had a tremendous amount of salinity over the crunchy blackberries – I guess this was an effect of drinking this wine at a cellar temperature. But it was still attractive. While admiring the simple label I saw the word which made me very curious – “Biodynamic”, and then the back label provided lots more information about how this wine was made. To me, “sustainable” is a very important wine keyword, and whatever extras “biodynamic” entails, the biodynamic wine is always a sustainable wine – and it is definitely important for me. There was once a tree. Not the tallest tree, nor the oldest tree, but a tree that had put its roots in just the right part of the paddock. Here the soil was deep and layered – sometimes hard and rocky, elsewhere soft and sandy – and the wind had just enough room to move, and even the rain – when it was kind enough to visit – would fall evenly and gently. Because of its favoured position, the grasses grew tall against its trunk, and the wild flowers were easily encouraged to grow closely around it, and the insects and birds that looked to trees for shelter and for vantage, eagerly moved in. Here you are, my friends. I don’t know how often you drink Australian wines, but Gemtree is definitely the name to keep in mind for your next round of wines from down under – I think you will be happy with your score. Cheers! Absolute majority of the 17 years old are beautiful. Well, at least when it comes to the people. With the wines, this can be a different story. 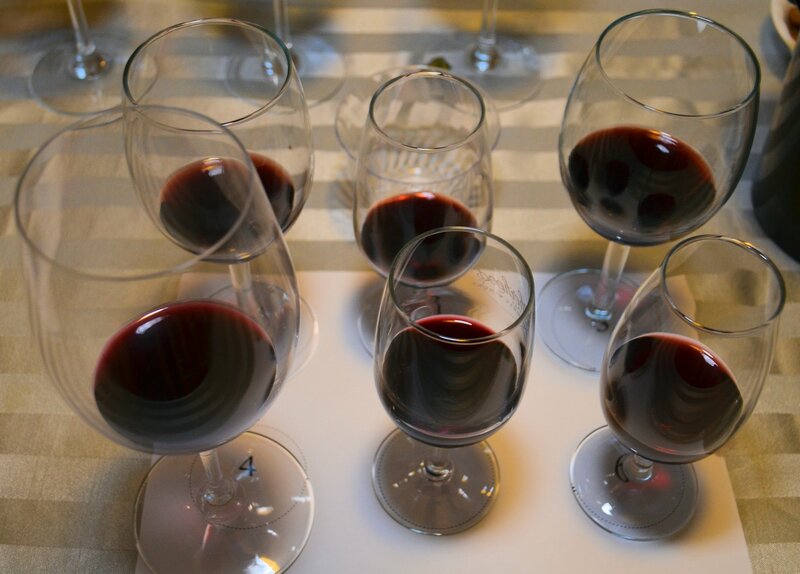 17 years old in the wine terms is quite an age – some of those 17 years old are slender and muscular, and some are flabby, tired, and barely stand on their feet. And the beauty of the wine is that you can’t know how the wine will be – until you get the bottle opened. I have to admit that I had no expectations before opening this bottle of 1998 Shiraz from Australia. Aged Australian wines are hard to come by in US, thus I have very little experience with that class of wines. And having no expectations around the wines is generally good, as it often saves you from disappointment. However, I’m sure that you deduced from the title of this post that there was nothing disappointing about my experience. Dutschke family owned the parcel of land with a few vineyards on it in Barossa valley in Australia since the end of the 19th century. In the late 1900 the grape plantings increased, with most of the grapes been sold to the other wineries. The first wines under the Dutschke name were produced only starting in 1990. Which makes the wine which I opened today one of the early wines produced at the winery. As I opened the bottle of the 1998 Dutschke St. Jakobi Shiraz Barossa Valley (15% ABV, $25? ), the first nice observation was perfect condition of the cork – not a sign of age. The color was very dark garnet – again, not a sign of age. And the smell – wow – concentrated fresh berries, lavender, sandalwood – bright and uplifting. Then the best part – the wine needed no breathing time. Pour, sip and enjoy the exuberance of the fresh berries, savory herbs, dark power, perfect structure, clean acidity and perfect balance. If I wouldn’t check the label, I would’ve never known the wine was 15% ABV – overall, it was perfectly integrated and perfectly enjoyable (Drinkability: 8+/9-). And then the wine just was. Wish you lots of small pleasures this holiday season. Cheers! Yep, another wine holiday is upon us. This time, it is a week-long holiday, so you will surely get your opportunity to celebrate. What holiday, you ask? #ShirazWeek. Yep, the whole week dedicated to the Shiraz wines. As we know, Shiraz is just a different name for the grape called Syrah, one of the most popular red grapes in the world. Today Syrah is literally growing everywhere – France, Spain, Italy, even Portugal, United States, Chile, Israel, South Africa, Australia and many others. But – what is the first country which comes to mind when you hear the word Shiraz? For me, the answer is simple – Australia. Australia is one and only wine making country where you will not find wines called Syrah (well, may be you can, but with extreme difficulties). 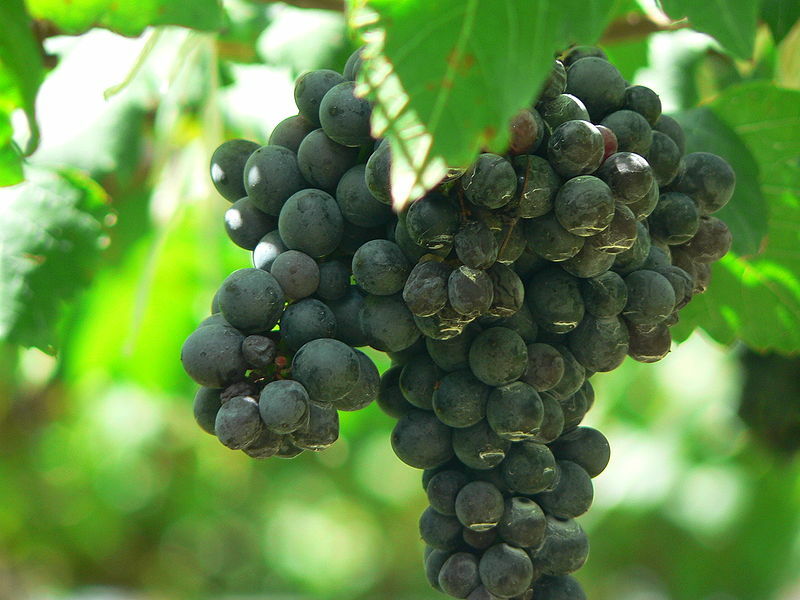 South Africa is probably next – most of South African Syrah wines are called “Shiraz”. For the rest of the world, Chile is often uses the name Shiraz, and you can find some of US wines called Shiraz as well (quite rare – Syrah prevails by a huge margin), and then it is Syrah all the way. Shiraz is most popular red grape in Australia, with the plantings been second largest in the world after France. A quick question for you – do you know where the oldest, continuously producing Shiraz vines are located? Well, yeah, I’m sure it was easy to figure out in the context – yes, in Australia, in Barossa Valley, planted in 1847, now reaching a tender age of almost 170 years. Over the years Shiraz had its ups and downs, with the vineyards ripped out, including the old vines, with overproduction and quality problems – but it still remains Australia’s darling, and a world-class wine on its own, well worthy of a celebration. Shiraz is produced everywhere in Australia, but Barossa, Coonawarra, Clare Valley, Hunter Valley, Margaret River and McLaren Vale are probably the most famous regions for that wine. Now, let’s talk about what to drink in honor of the #ShirazWeek. Of course I don’t think you should be drinking Shiraz for the whole week – but then you should do whatever you think is right – I’m merely here to provide some suggestions. As a self-made oenophile, I went through lots of Australian wines the bargain aisle has to offer – I had my fair share of Yellow Tail, Rosemount, Wolf Blass and Lindeman’s – the wines that comprise the glory and the curse of the Australian wine industry. But – I’m sure you don’t need my advice with that group. Let me instead suggest some names which I think would be worthy of your attention. The list below has no particular order – but these are all the producers I can related to, one way or the other. While some of these wines will be more expensive than the others, I don’t expect you to need to break the bank to taste any of them, so don’t be concerned. d’Arenberg – very well known producer in McLaren Vale, with many family generations involved in the winemaking. Footbolt Shiraz (under $20) and Dead Arm Shiraz (around $70) both worth your attention. Jim Barry – Jim Barry is a well known producer in the Clare Valley. While they make a number of wines, the one I particularly recommend is Jim Barry McRae Wood ($50), a single vineyard Shiraz – very focused and delicious. Two Hands Wines – their wines are exuberant, over the top, and never shy in alcohol – but they also manage to achieve an impeccable balance. Try whatever you can get your hands on. The wines are generally priced in the $30 – $100 range. Mollydooker Wines – a wonderful producer in McLaren Vale. I love the way their wines are named – Carnival of Love, Blue Eyed Boy or Two Left Feet, for instance. Again, try anything you can get. Similarly to the Two Hands, their wines are priced in the $25 – $100 range. Henry’s Drive – a producer in Padthaway in South Australia. I came across their Dead Letter Office Shiraz as a recommendation from Dorothy Gaiter and John Brecher, writers of the Wall Street Journal’s Tastings column, where 2005 Dead Letter Office Shiraz was rated as Delicious!, a highest honors in the Tastings column. 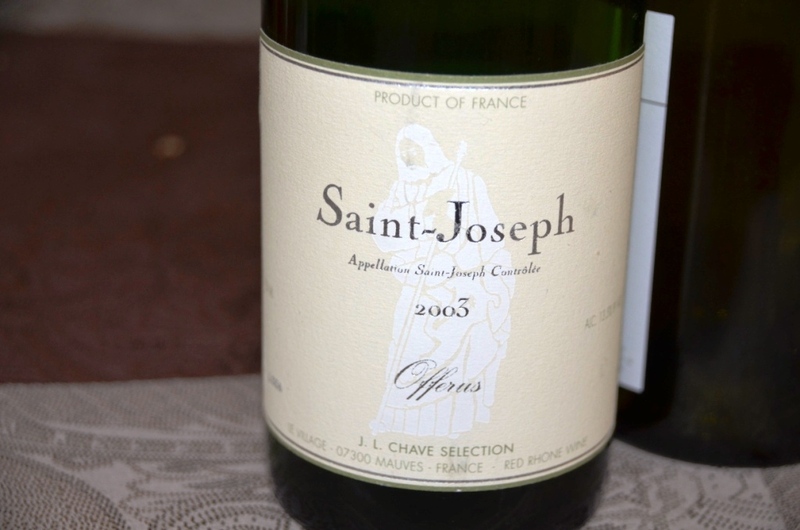 I had an opportunity to taste and concur – and according to the Wine-Searcher, the 2005 is still available online at $26. Pirramimma – a producer in McLaren Vale. I have to be honest – I never tried their wines, but – the 2005 Shiraz was listed in that exact same Tastings column with exact same Delicious! rating, hence my recommendation. I have a bottle of this wine, and will probably follow my recommendation soon. Elderton Wines – another great producer from Barossa. I had an opportunity to try 2002 Elderton Command Shiraz, and this wine was simply stunning. It will set you back about $90 or so – but in that price category, it is well worth every penny. M. Chapoutier – best known for their French Syrah wines, M. Chapoutier started producing Shiraz in Victoria, Australia in 2002. 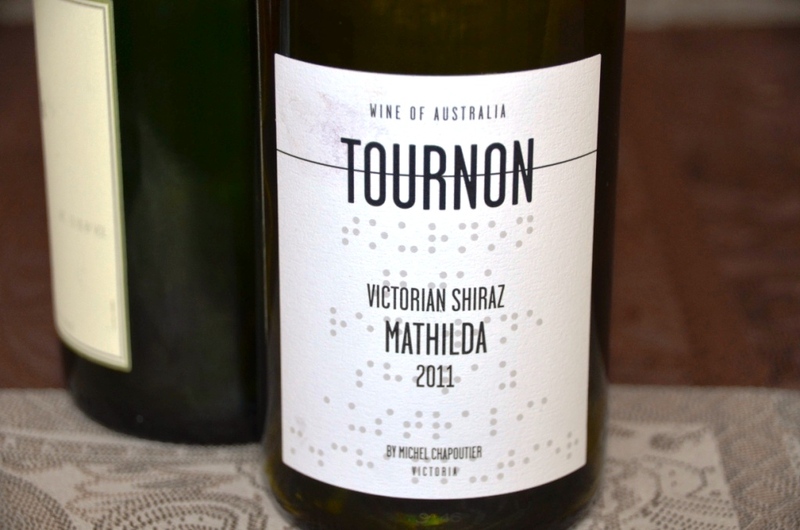 Tasting 2011 Domaine Tournon Mathilda Shiraz was literally a mind-blowing experience and it was one of my absolute favorite discoveries of the last year (here is my post). At less than $15, this might be the best Shiraz you can ever taste at a price. There are lots and lots more Shiraz producers in Australia – as I said before, the list above only includes wines I can relate to, so feel free to suggest your favorites. And just in case money are no object, I would like to suggest two Shiraz wines I didn’t have the opportunity to taste, but they should be able to provide a holistic experience, at least based on the price ($600+) and according to the people who tasted them. I’m talking about Penfolds Grange and Henschke Hill Of Grace Shiraz Eden Valley – both wines should be absolutely magnificent – but I will let you confirm or deny it in case you had the firsthand experience. Now you are ready to celebrate the #ShirazWeek – and don’t forget to share your experiences on the AussieWine web site. Drop me a note too – I want to know what is in your glass and how do you like it. Cheers! Inadvertently, I run an experiment of cork versus screw top, and the results were interesting enough to discuss them here. About a week ago, I pulled out of the cellar (which is actually a wine fridge) the bottle of 2004 d’Arenberg The Footbolt Shiraz MacLaren Vale from Australia (14.5% ABV). 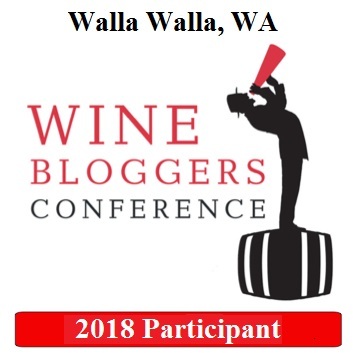 As I confessed in my blogging addiction in the recent post, before the bottle is open, in addition to just regular anticipation of wine experience itself, now I have added anticipation of the possible blog post which can be written based on the wine experience. Or not. There are many possible was for the experience not becoming a blog post. Too many things to write about, too little time. Or you just hit the “writer’s block”. Or the experience is not worthy of being captured. Which was the case with this Shiraz. d’Arenberg is a well known Australian winery, which just celebrated 100 years last year, producing substantial range of typical Australian wines, such as Shiraz, Grenache, Chardonnay, Cabernet Sauvignon and more. I had pleasure of meeting Chester Osborn, d’Arenberg’s winemaker in third generation, and even have couple of bottles with his signature in my cellar (by the way, what do you do with those signed bottles? I should make a separate post to discuss this interesting question). Now, I didn’t know what to expect from this bottle of Shiraz. The Footbolt is one of the introductory level Shiraz wines from d’Arenberg, but that doesn’t mean anything. Cork is out (regular cork, just keep reading to see why it is important), and judging by the color alone, this wine didn’t reach its prime yet – dark ruby in color. But the nose and then the palate were inconclusive. Acidity would jump up and down with every sip, and while the wine had enough fruit, it was simply not getting together, definitely lacking the balance which is all so important for me in the wine. So, based on this wine alone, the blog post was not born. 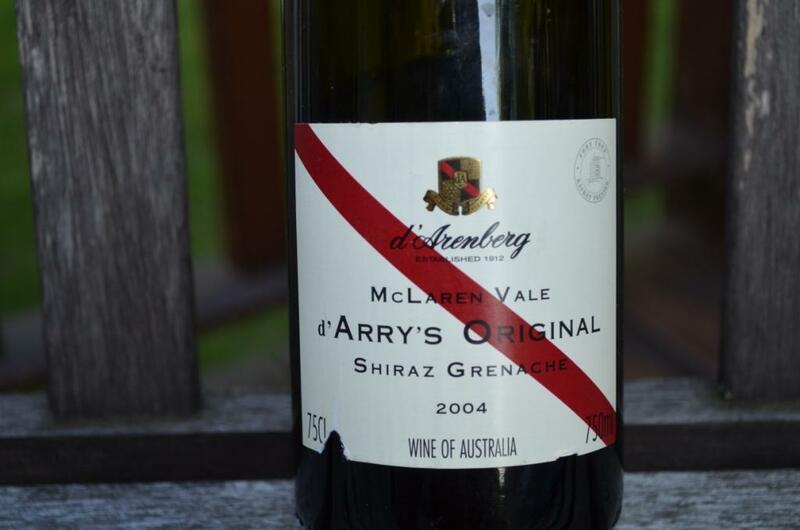 2004 d’Arry’s Original Shiraz Grenache McLaren Vale (14.5% ABV) – a blend of 50% Shiraz and 50% Grenache . With the screw top. That was an “aha” moment. Same vintage as the previous wine – but wit the screw top – how different the experience will it be? No “pop” of the pulled cork. Just a quiet “tsk-tsk-tsk” of unscrewing the top. In the glass, this wine looked like it was made yesterday – dark ruby, very concentrated color. From the get go, the wine showed beautiful fruit on the nose, ripe plums, equally supported on the palate with fresh fruit and energetic acidity. About 45 minutes or so later, when I poured another glass, the wine tasted almost sweet – the thought was “what happened”? This was a totally a different wine compare to the way the wine started. Another half an hour or so – and we were presented with the new wine again – dark concentrated fruit, firm structure, tannins and acidity all summing up into a gorgeous balanced wine. Wine ageing in the bottle is typically associated with the tiny inflow of oxygen through the cork. In case of screwtop, the oxygen doesn’t get to the wine at all. Thus my theory is that once you open a bottle under the screwtop, the very quick ageing process starts off, which takes the wine through the different “taste stages” in the rapid succession. Then at the same time, the wine is changing its taste in the glass no matter what, so may be that rapid taste changing has nothing to do with the way the bottle was closed. Ideally, of course, I would love to compare two identical bottles (same wine, same vintage), only one closed with the screwtop and another one with the regular cork (I believe I actually read about some producers who are doing that). In this experiment, the Shiraz Grenache under the screwtop was a clear winner, but it is hard to tell what it has to do with the screwtop versus regular cork versus the two wines being just differently made. I guess I can end this report with the words “to be continued…” – and I would love to hear your thoughts. Cheers! Welcome to the weekend! To start your weekend right, it is the time for our traditional grape and vine exercise. We are continuing the grape trivia, and today’s subject is … Syrah, or as they call it in Australia, Shiraz. Syrah is a red grape with thick black skin, capable of producing full-bodied, big and powerful wines. Primary aromas associated with Syrah are usually of blackberry and black pepper, but as the wine ages, it shows a number of very diverse flavors, such as leather, tobacco, chocolate and more. Syrah is known under the name of Shiraz in Australia and South Africa. France, United States (California, Washington, Oregon) and Australia are typically considered to be the source of the best in the world Syrah wines, but Spain, Italy, Chile and Argentina are all producing very interesting Syrah wines as well. Now, let’s move on to the quiz. As before, the quiz consists of 5 questions, and the answers will be provided next Wednesday. Q2: Which white grape often plays a role of blending companion for Shiraz? Q4: About 100 years ago, Syrah was a popular addition to the wines of one well known region – now this practice is totally illegal by the appellation rules. Do you know what region was that? Q5: Where do you think are the oldest in the world continuously producing Syrah vineyards are located? Can you guess the approximate age of the vines? Enjoy your weekend, good luck and cheers! You can call it “play it for Australia” (with a little bit of France). Or you can just call it Shiraz tasting. Whatever the name is, but a few months ago (actually, right after the hurricane Sandy – it was a miracle that we didn’t lose an electricity) we got together for a Shiraz blind tasting and the dinner. For the blind tasting, we had two limitations imposed. First, the bottle was supposed to say “Shiraz” on it. Yes, of course Shiraz and Syrah are the same grapes, but – this was a limitation number one. Limitation number two (a soft one) – preferably, the Shiraz shouldn’t be coming from Barossa region. You wonder why? Easy. 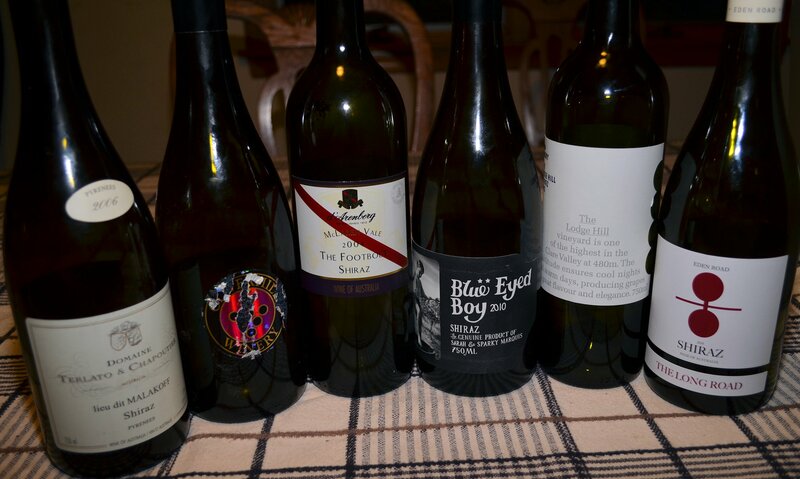 I had a couple of bottles in mind, all from Barossa, so I wanted others to do the hard work. Ahh, yes – and no blends were allowed – only 100% Shiraz. Before we started the tasting, I threw in a monkey wrench. Doesn’t sound right talking about wine, does it? 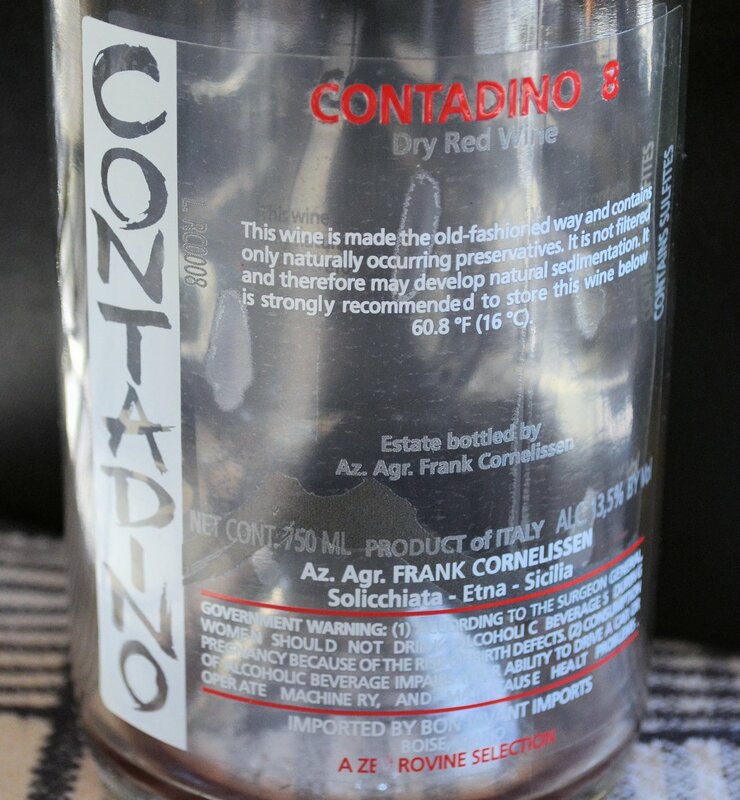 So the role of this allegorical wrench was played by Frank Cornelissen Contadino 8 wine. Frank Cornelissen makes very interesting wines in Sicily – natural, low intervention wines from the grapes growing on volcanic soils of Etna. His aspiration is to let people actually to taste the soil, the actual stones in his wines, and he is probably succeeding with that (here is the link which explains the wine making philosophy – I think it is worth reading). This wine literally represents a very distinct experience – outside of acidity and minerality, there is very little else which you can taste – nevertheless, it is an interesting wine to try (well, I’m not sure we got too many votes of approval for this wine from the group, but still). Okay, let’s get back to the Shiraz. The tasting was blind. Of course all the wines were Shiraz, but the blind tasting format allows you to focus only on the wine in your glass – no matter who producer is, how cute the animal is on the label (no, I didn’t expect anyone to pull off the Yellow Tail stunt, but thinking about it now, it could’ve been interesting), did someone tasted the wine before or who brought the bottle. We had 6 wines in the tasting. 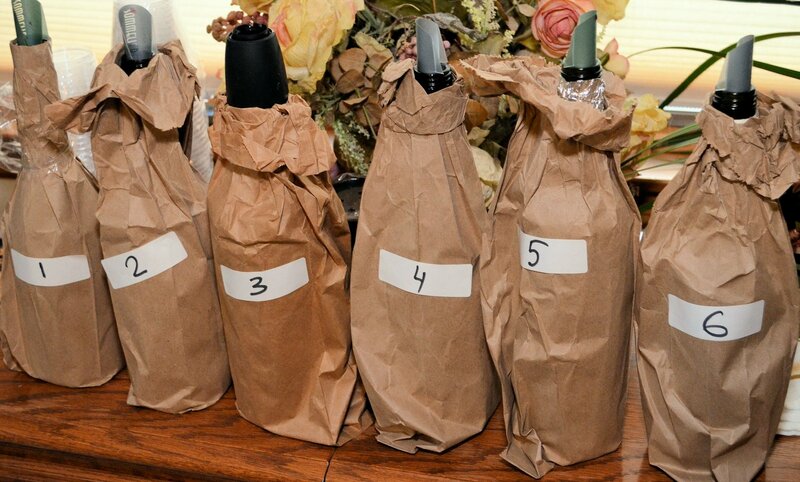 As the tasting is blind, the person who brings the bottle, gets to open it and puts it in the brown bag. Then we ask kids to stick the numbers on the bags, completely at random. The wines are poured in the numbered glasses, and the fun begins. Shiraz is usually quite a playful wine when it comes to the fruit expressions, so this time we decided to add an interesting touch to our tasting – put the fruits on the table. We had raspberries, blackberries, blueberries and couple of different plums in the glasses, slightly smashed to release the flavor. 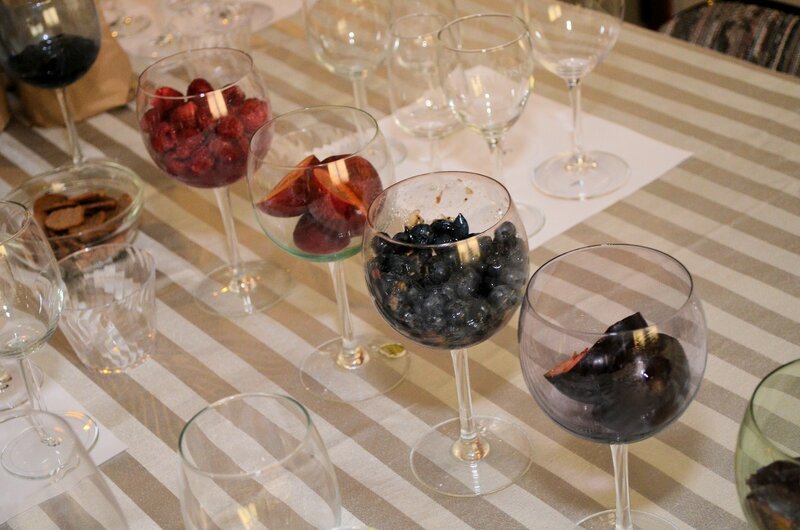 The intent was to use those fruits as a reference while smelling and tasting the wine and to be able to identify what we were tasting. Not sure if it was a successful experiment, but as the very least it was fun. Now everybody are at the table and we start the tasting – sniff, swirl, sniff, more swirling, taste – talking and taking notes at the same time – no, there is no requirement to participate in conversation, but it is part of fun! And the notes are helpful at the end, when we take a popular vote to identify the most favorite wine of the group. Each person can vote for two wines, and the wine which will score the highest, will win. I case of a draw, we take an additional vote to select only one favorite between the two, so we still will have a winner – this all is necessary to have then a culmination point of unwrapping the winner and listening to the collective “ahh?” as pretty much in all of our blind tastings the winning wine was a complete surprise to everyone, including the person who brought the wine. 1. 2006 Domaine Terlato & Chapoutier lieu dit Malakoff Shiraz Pyrenees (13.5% ABV) – little smoke, blueberries, a bit tart, very restrained. Not a typical Australian Shiraz. 2. 2005 Oliverhill “Jimmy Section” Shiraz McLaren Vale (96RP, no ABV as my label was badly damaged) – a little dust, tart cherries on the nose, blueberries, very sweet on the palate, jammy, a little short on the finish, overall pleasant. 3. 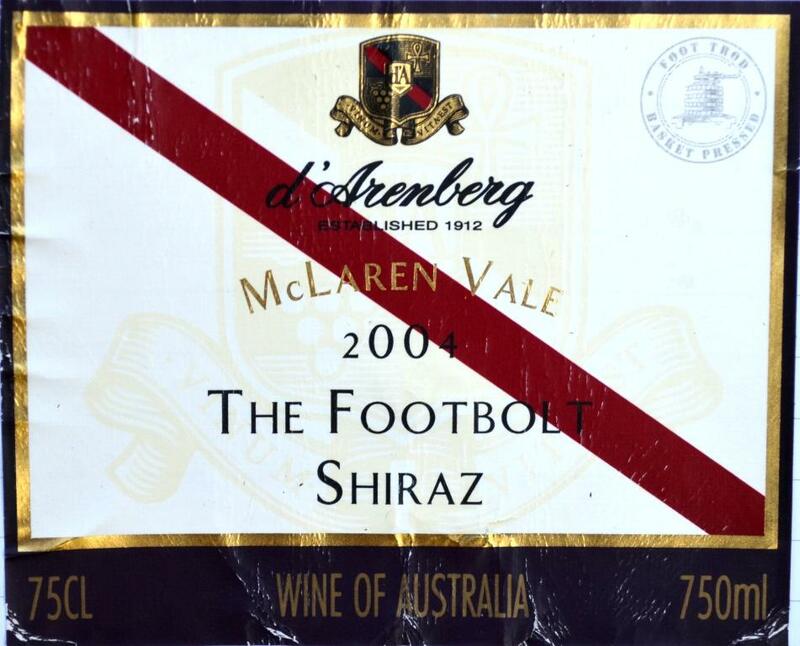 2004 d’Arenberg The Footbolt Shiraz McLaren Vale (14.5% ABV) – interesting blackberries, very tart, not balanced. 4. 2010 Molly Dooker Blue Eyed Boy Shiraz Australia (16.5% ABV) – very nice, dark chocolate, jammy, blackberries, dusty nose, overall very balanced. 5. 2010 Jim Barry the lodge hill Shiraz Clare Valley (14.5% ABV) – very round, balanced, plums on the nose. 6. 2010 Eden Road The Long Road Shiraz Canberra District Australia (13.5% ABV) – Smells very young, but with the tannins in the back. Good dark fruit. Can you guess the winning wine? I will give you a few moments. 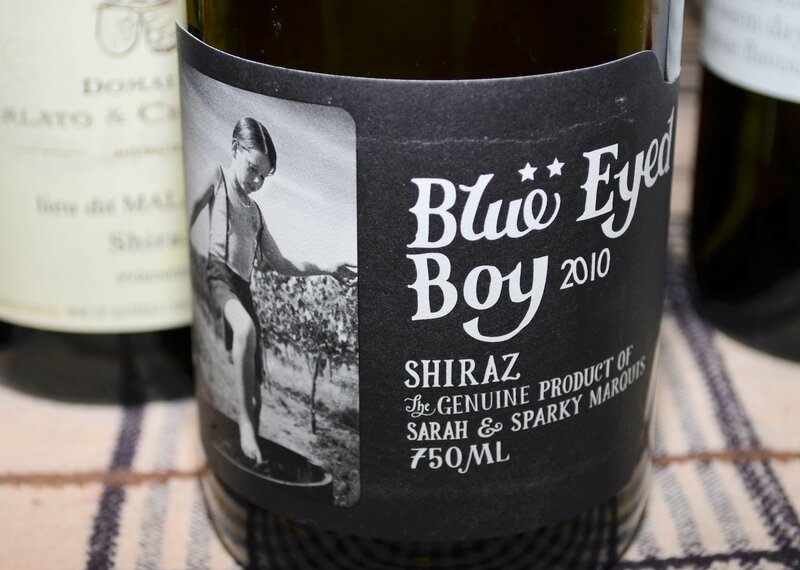 2010 Molly Dooker Blue Eyed Boy Shiraz Australia – the wine got 8 popular votes out of 10. In the second place with 5 votes out of 10 was 2005 Oliverhill “Jimmy Section” Shiraz McLaren Vale – interestingly enough, this wine has a very high rating of Robert Parker ( 96), and expected maturity in 2011 – 2018 – I guess we opened it prematurely… Oh well. And now – dinner time! Did you notice the title of this post? Yep, the cassoulet was involved. No, it was probably not cold enough yet, and cassoulet is a dish from south of France, so Cote du Rhone wines would be typically more appropriate – but, cassoulet is one of my all time favorite dishes to make (and to eat too), so you got to do what you want to do, right? I fell in love with cassoulet during one of my trips to Geneva a while ago. White beans, pork, duck, lamb, sausage – all so succulent and so “together”, a perfectly heart, soul and body warming dish. I tried to find it in the restaurants in US, but never succeeded. 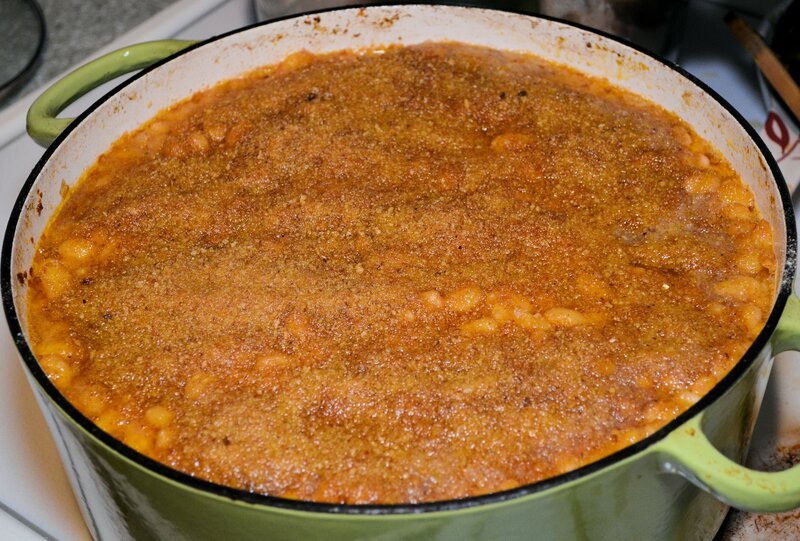 Then at some point I came across an article about Cassoulet in Wall Street Journal, which also contained Alain Ducasse recipe – this was a turning moment when I started making it myself. I don’t know what any other cassoulet aficionados would think, but to me it tastes the closest to those I admired in Geneva. I would like to share the recipe with you – which is mostly Alain Ducasse recipe (here is a link to the article and recipe on WSJ site) – I made certain adaptations which don’t sacrifice the taste, in my opinion, but make it easier to prepare. Here is list of ingredients – as copied from the original recipe – with my comments. Cassoulet starts with beans. The subject of proper beans for the cassoulet can almost reach the level of religious war. The original recipe of Alain Ducasse calls for so called Tarbais beans. Good luck finding them here. May be you can order them in advance, but this is a bit too much preparedness for me. So we need a substitute. What’s important is to find beans which will sustain very long cooking time, but will not become a mush – you are looking to see and taste actual beans and not some kind of paste. I successfully used so called Great Northern beans, which can be found in supermarkets, and I believe so called Navy beans will work too, but I don’t remember trying them. The process starts from soaking the beans overnight in a cold water. The actual cooking starts next day – but you still can do a few things in advance. The recipe calls for duck leg confit. If you look into the recipes for duck confit, cooking it is a very lengthy process on its own. Buying duck confit is possible, but it is hard to find a supermarket which carries it. I successfully replaced duck confit with just fresh duck legs. Sometimes, finding the duck legs can be a problem too. This was my case this time. Well, when you want a cassoulet, you have to do whatever it takes… Duck flavor profile (gamey, nutty, etc. – you know how the duck tastes) is essential – replacing duck with chicken is not really an option. My solution – using the whole duck. I got the whole duck, cut it up into pieces, leaving the skin on legs and wings, but otherwise removing it together with the fat – there is way too much fat in the duck. I fried the duck in the evening, preserving all of rendered fat together with all the meat, so it was ready to go the next day. Before we talk about the whole process, let me give you an idea about the sizing. I used 2 pounds of beans, cut up meat from the whole average size duck, about a pound of pork country style ribs, pound of Italian sausage (usually 5 pieces), about a pound of chicken garlic sausage, about a pound of lamb chops (4 large pieces). Instead of pork belly, I used one package of “bacon ends” from Trader Joe’s which were fried the day before. All together, this was enough to feed well 10 or so hungry adults, with some leftovers. Now, lets get back to the cooking. In the morning, step one was to cook beans. Drain the water from overnight, put beans in the pot together with celery, carrots, garlic and the onion, season, cover with cold water and simmer for about 1.5 hours or until beans are tender but not falling apart. Discard carrots, celery and onion. Technically, you are supposed to discard garlic too, but I just couldn’t do it – so I reused it for the next step. While beans are cooking, you can start working on the meat. First you will need to roast all the meat separately. I use the cast iron pot (you can also use a heavy skillet), and sear all the meat in batches – you will need to season it with salt and pepper. You really want meat to achieve a nice sear, so note that this operation will take time (usually it takes me about 1.5 hours using the amounts mentioned above). Once all the meat is seared by itself, add duck (whether you are using duck confit or the whole duck prepared the day before), add bacon ( unless you will use the pork belly), add diced vegetables and let it roast for another 10 minutes. Then I put together herbs, bay leaf and peppercorns into a cheese cloth, tie it up and use it as Bouquet garni – i.e., put it inside (this way you can remove it all together so nobody need to chase down that peppercorn out of the dish). Now, add broth, cover and let it simmer for about 1.5 hours. Once done, strain cooking liquid into the beans and put all the meat on the cutting board and let it rest for about 20 minutes or so. Remove and discard all the bones, and cut up meat into large pieces. We are ready for the last step. Preheat oven for 250F. Take the cast iron pot. Put all the cut up meat on the bottom. Gently put beans with liquid on the top (again, you want to preserve beans as they are, so you will need to handle them with love). Overall, you want to to have enough liquid in the pot, but without making the whole dish looking like soup. Put a good layer of bread crumbs on top of the dish (no skimping on the bread crumbs – having a nice crust on top is one of the important elements of cassoulet). Put uncovered pot in the oven for about 45 minutes. Take the pot out. When serving, make sure to go all the way to the bottom so you will get the meat together with beans. Now, most importantly – enjoy! Also I have to mention that we had an outstanding “single plantation” chocolate as part of our dessert – can anything pair better with Shiraz than a spicy dark chocolate? Never heard of “single plantation” chocolate before? 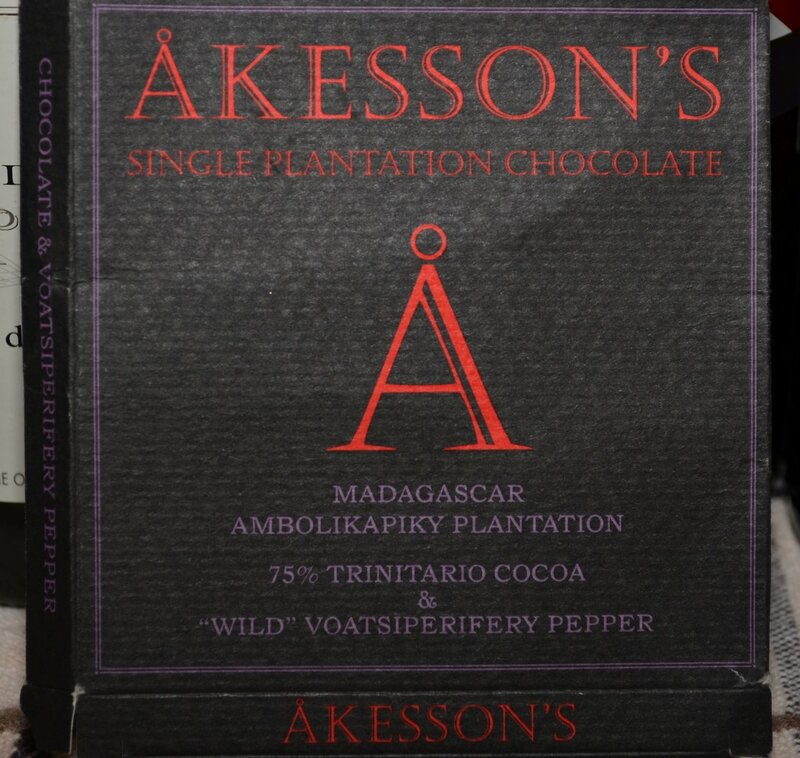 Don’t worry, me too – but it appears that Akesson’s has a a substantial collection of single plantation chocolates, and the one we had was absolutely incredible. Apologies for the post gone too long, but I think I’m finally done by now. I don’t know if I convinced you to make cassoulet, open a bottle of Shiraz or find that chocolate – but if you are still here and reading this – I’m happy. Until the next time – cheers! A few times lately I have come across blog posts talking about too many wines on the shelves of the stores and poor consumers being intimidated and having troubles to find what they want. Quite honestly, I find this annoying – I believe convincing consumers that they should be intimidated is the wrong thing to do. Why am I annoyed with this? Very simple. Today, you need a very few things to navigate the world of wine and feel comfortable. One is desire to learn (if someone doesn’t want to learn, it makes no sense to complain that one can not). Learning about wines simply means trying them and making an effort to remember what you like and what you don’t. Another helpful thing – finding a good wine store. There are quite a few good wine stores where I live – I do plan to write a separate blog post (or may be a few) covering some of those in more detail. 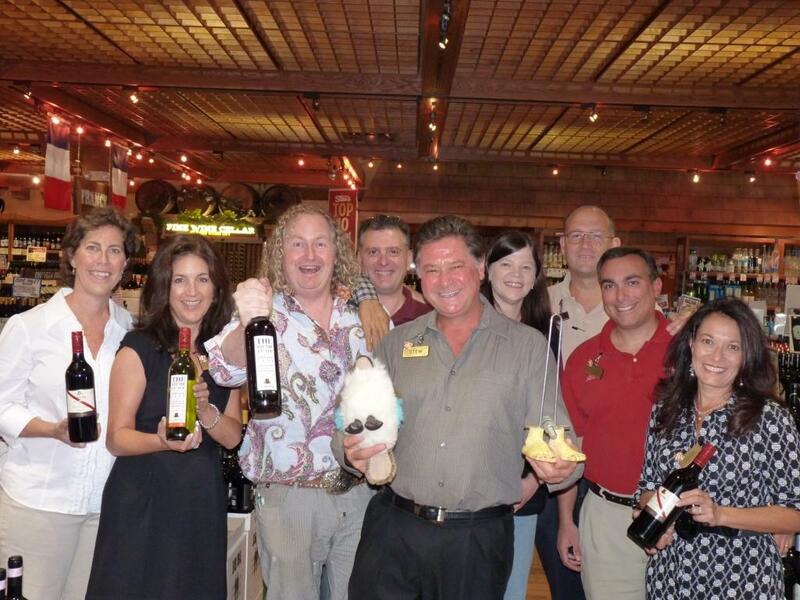 One of such good wine stores is Stew Leonard’s Wines in Norwalk, CT. What makes the wine store “good”? It is easy to navigate, it has helpful and knowledgeable personnel, and it is helping you to learn about wines. You got all of that at Stew Leonard’s Wines – easy to navigate, helpful staff and great education. What do I mean by education? 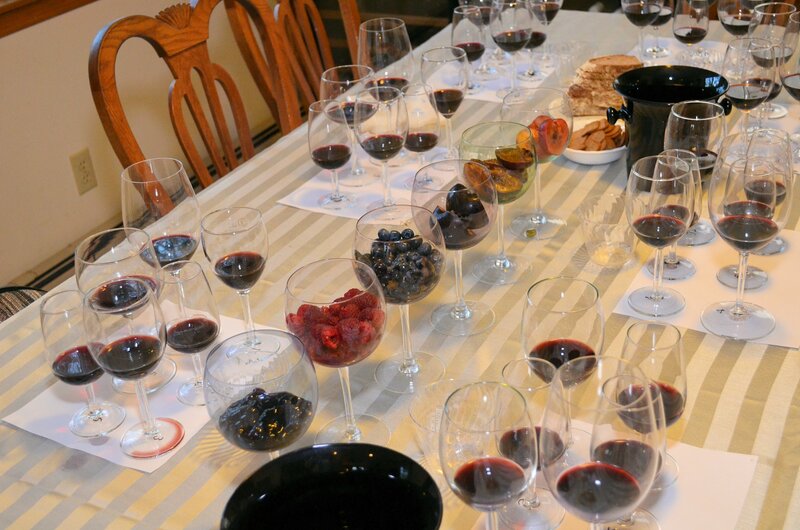 When it comes to wines, education consist of learning about wines and tasting them. One of the ultimate forms of “education” then is when you can learn from the best and taste excellent wine – and did I mention that it is usually free? Yep, it is free and available, almost every Friday and Saturday, again, thanks to the folks at Stew Leonard’s Wines. Every Friday and and Saturday, you can come to the store for the wine tasting, and if you are lucky – you will also learn from the winemaker, as it was the case last Friday, September 24th , when Chester Osborn, winemaker of the famed Australian winery, d’Arenberg, was presenting his wines. d’Arenberg produces quite a few different wines in the McLaren Vale region in the South Australia, of course with Shiraz being a star grape. Five different wines were presented at the tasting. First, Lightly Oaked Chardonnay – it is actually very nice and simple, with clear fruit and light oak expression. Then comes The Stump Jump 2008, which is also should be known at GSM. GSM stands for Grenache, Shiraz and Mourvèdre, and it is a blend modeled after wines from Southern Rhone. It is also interesting to note that Friday, September 24th was the First International Grenache Day which was proudly stressed by Chester holding up the bottle of GSM. Stump Jump is a very nice and approachable wine with great and powerful fruit expression. The next wine was classic The Footbolt Shiraz 2007 (Footbolt actually was the name of the horse), nicely showing spicy bouquet of MacLaren Vale’s shiraz (need my rack of lamb wit that one). And then the flagship Dead Arm Shiraz 2006 – great wine which will need another 15-20 years to be enjoyed fully, very earthy and dense, drinkable now, but boy, will it evolve! In case anyone wonders, the Dead Arm has nothing to do with human body parts – the name is related to the grapevine disease, which can kill part of the plant, producing “dead arm”, or a “dead branch” – in this case the grapes on the surviving part have very high flavor concentration. And last wine presented was Sticky Chardonnay – beautiful desert wine, made from Chardonnay grapes, exhibiting honey and white peaches notes, all with nice minerals, acidity and green apple bite. At $9.99, the wine of such quality is a pure steal. All in all, it was a pleasure meetings Chester d’Arenberg Osborn, learning from him and experiencing his wines.